The Funky Felter: Strand Zine's first issue is all about felting & feltmaking and definitely worth a read! 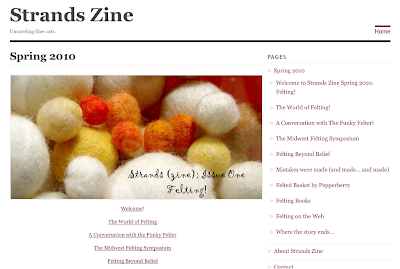 Strand Zine's first issue is all about felting & feltmaking and definitely worth a read! A few weeks ago, I did an interview with the editor of a new online fiber zine. 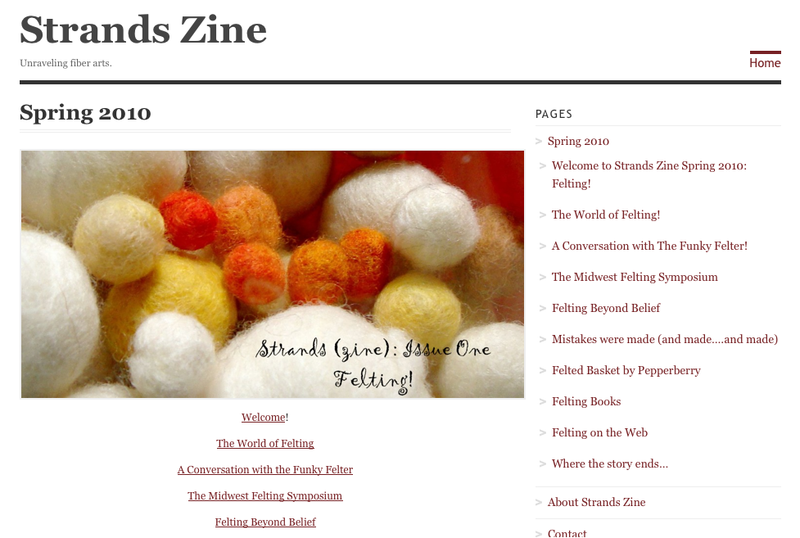 The first issue of Strand Zine is all about felting and feltmaking. It includes a variety of resources and information. I highly recommend that you go check it out. If you are a fiber enthusiasts of any kind, I think that you'll find it very interesting. And, I wanted to say "Thanks!" to its editor, Corrie, for including a bit about me in her zine's first edition. I hope that there are many more interesting issues to come! Thanks for the mention :). You're a sweety.